Strengthen your body's wellness and energy using easy methods that take seconds. Achieve your optimimum health through simple nutritional guidelines. Learn how to eliminate the possibility of degenerative disease and increase your longevity. Decrease the number of hours you need to sleep, while increasing your stamina. Program 4 - Staying Younger Longer—Diet and Nutrition. This multi-pronged method helps you support your body while gaining energy to achieve what you want in your life. The meditation program will show you how daily practice will decrease your need for sleep while increasing your stamina, increase your ability to cope with life’s problems while combating minor illnesses. Learn how to get rid of the stress and tension in your life through simple deep breathing and relaxation techniques. Understand how exercise and attitude can contribute to living longer. The Diet and Nutrition section shares the importance of nutritional supplements and why it is not possible to achieve optimum nutrition through the foods we eat. 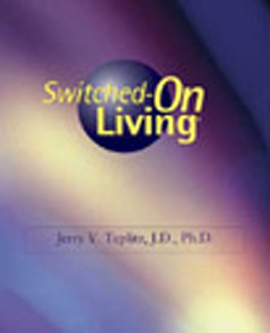 Switched-On Living is truly a balanced approach that every member of the family can follow. For additional information, you can take a look at the Total Energy Program -> Switched-On Living TV Presentation which includes the DVDs and more! 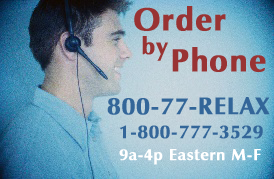 We really want you to be 100% satisfied with your purchase of Dr. Teplitz' products and programs, and we're fully confident you will be completely empowered.